Illuminate the underwater world at depths up to 200' with the Sea Dragon 2500 Photo and Video LED Dive Light Head from SeaLife. 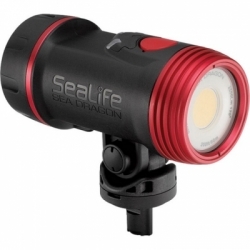 It features three outputs from 625-2500 lumens for a run time of 60-240 min with the supplied lithium-ion battery. 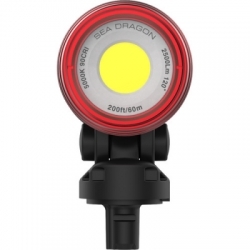 The light offers a very wide 120° beam angle, which makes it suitable for use as a main photo/video and primary dive light. Brighten up wide-angle stills and videos and restore rich, natural colors with this nearly daylight-balanced 5000K flood beam. Built for durability, the light features a fiber-reinforced polycarbonate body and an anodized aluminum light head, both of which are resistant to corrosion. A push-button switching system makes it easy to turn the power on or off and cycle through output modes. 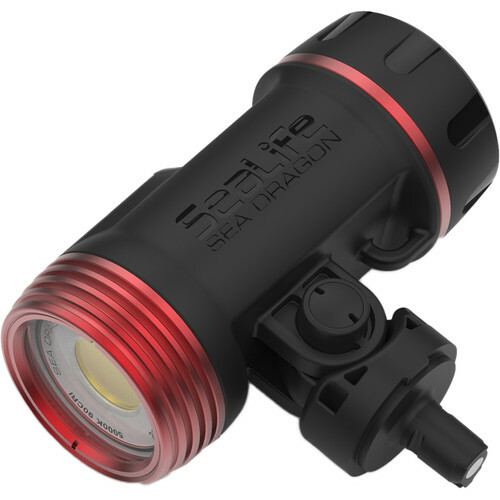 The optional Flex-Connect Grip gives you a mounting point for the light and can be connected to the optional Flex-Connect Tray. There is also an available adapter for GoPro action cameras. These accessories are part of a modular system designed for improved handling, customizable setups, and easy travel.